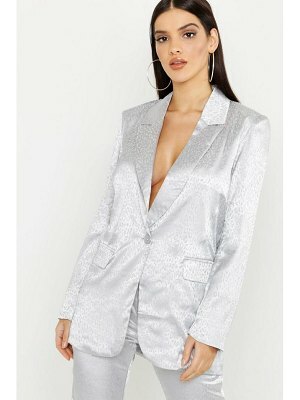 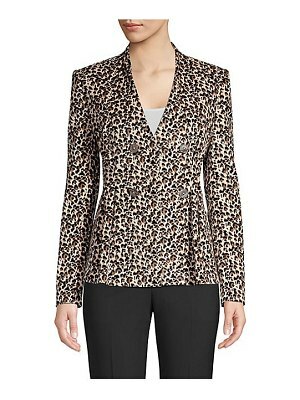 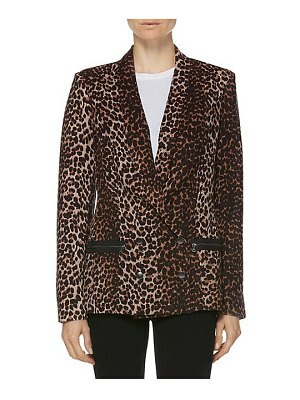 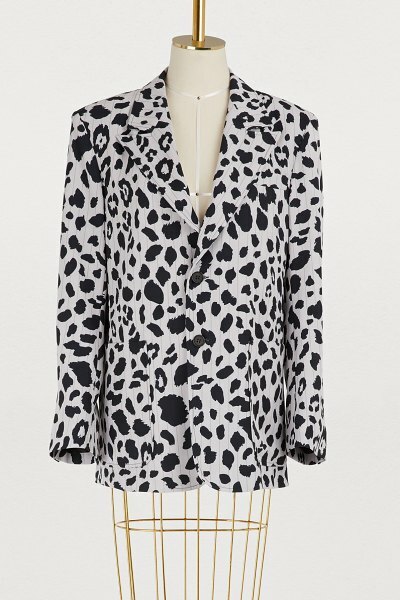 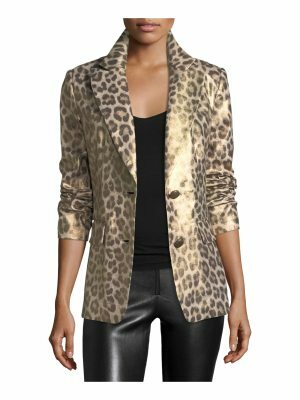 The leopard blazer by Koché shows off the humor of American fashion that designer Christelle Kocher loves. 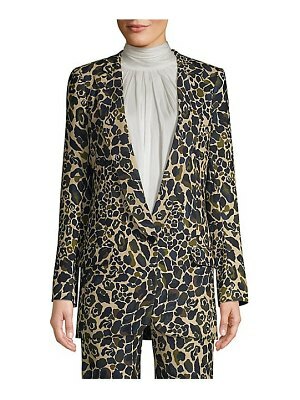 The finely striped suit-type jacket fades into a wild print based on a expert city-folk style. 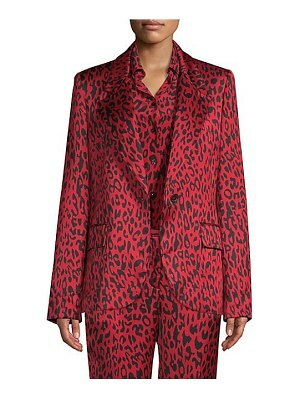 Boldly wear it with the matching pants or with a black pencil skirt.